The last session in the series “Unshakable Hope” (session 12) was held on April 10, 2019. 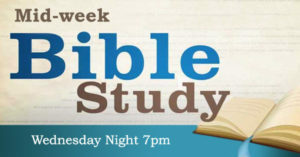 We will now take a break and resume Bible Study classes in the fall. The new start date will be announced on this page when it is available.